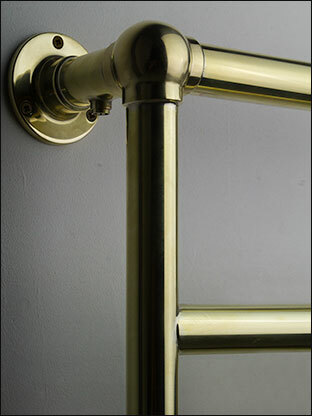 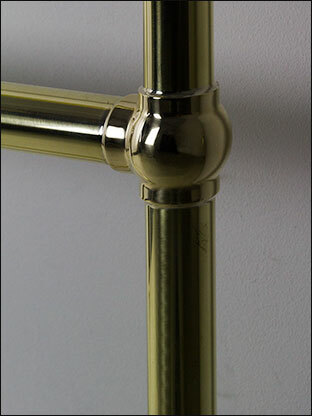 This traditional luxury towel rail has a stylish polished brass finish. 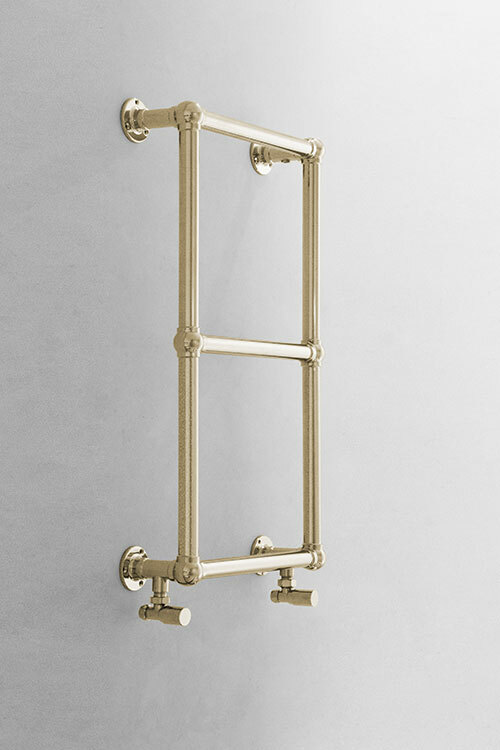 An exclusive design made in Britain, this ball jointed towel rail has well-spaced horizontal bars allowing plenty of space for hanging towels. 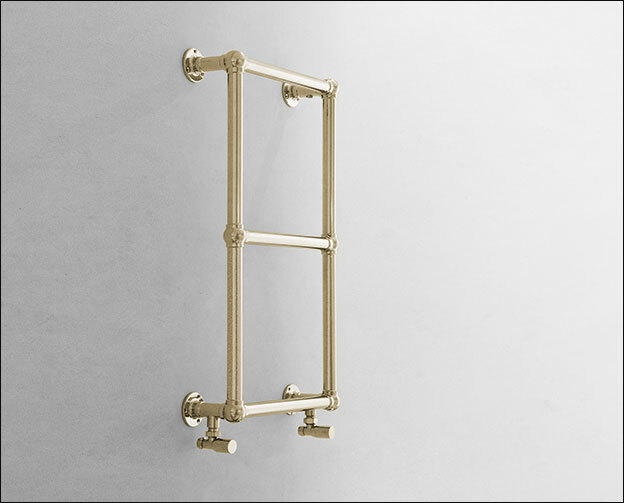 All of our heated towel radiators are made to order, with bespoke sizes availble on request. 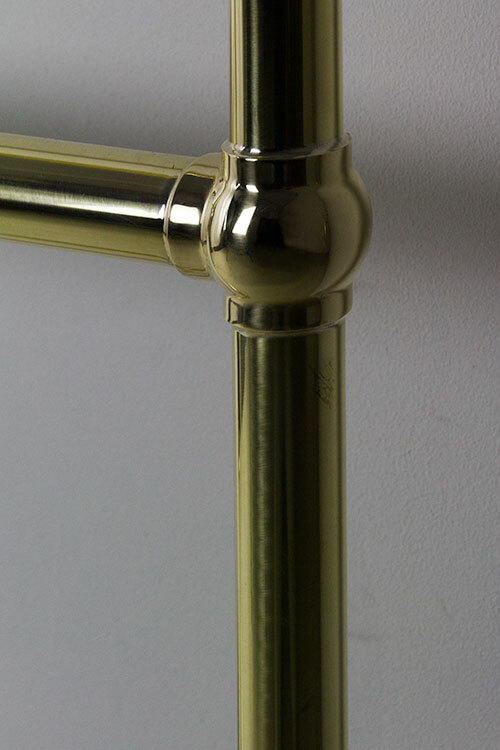 This towel rail can be supplied in a natural brass plated finish which will patina and age over time or a protective finish which allows the rail to keep it original look without the need for maintenance. 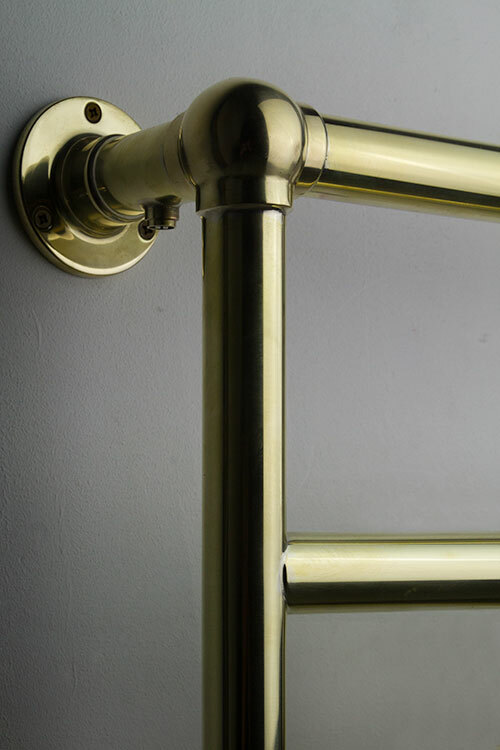 The Classic Ball Jointed Towel Rail is available in the finishes of chrome, nickel, gold, copper and brushed or polished brass.